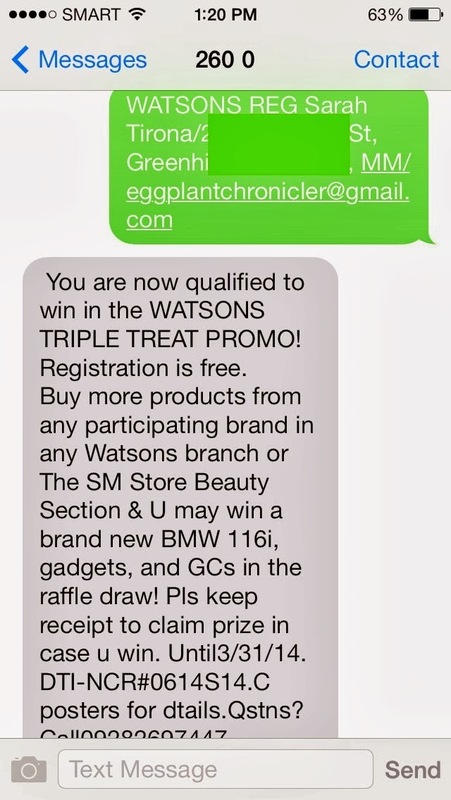 chance to win a bmw/ipad and more at watsons triple treats promo! 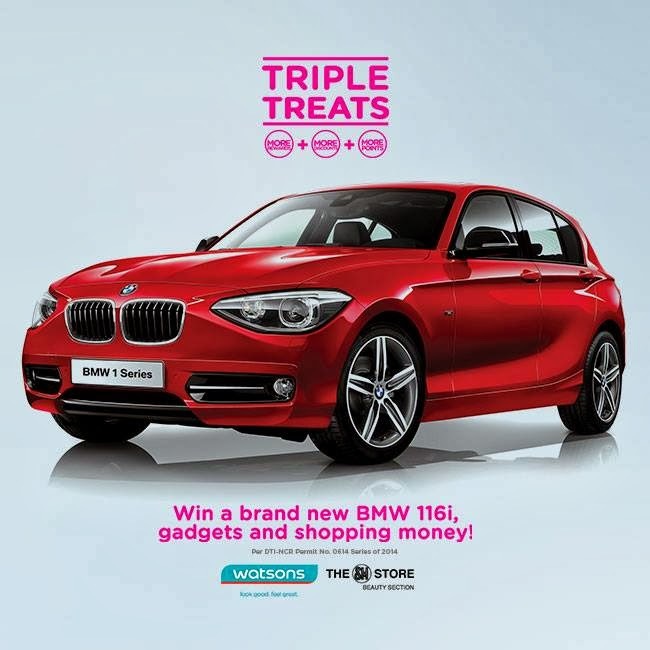 Don't miss the chance to win a BMW, iPad Mini's, iPhone 5s and Watsons Gift Certificates bi-weekly in the Watsons Triple Treats SMS promo. Every P500 purchase inclusive of a participating product gets you 1 raffle entry. Total entries can be found at the bottom of your receipt. You will receive a confirmation notice soon after. Is promo registration and entry submission via SMS free? Winners will be informed by an authorized Watsons representative through the contact details provided in their SMS registrations. To recap: Purchase worth P500 including a participating product in all Watsons/SM Store Beauty Sections, register via text, submit entry via text and cross your fingers! Simple and hassle-free! Join now. Don't miss the chance to win one of the many awesome prizes! With Watsons, There's Always More.